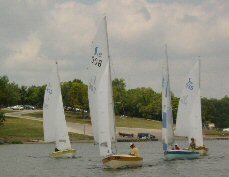 A great beginner boat to race. The Sweet 16 was born in Kansas City, Missouri. 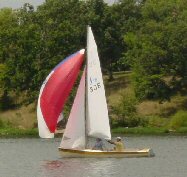 Designed and build in the 60's, this two person, sloop rigged, day-sailor is ideal as a trainer, day-sailor or one-design racer. 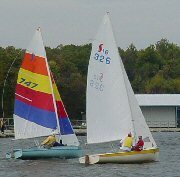 It has an optional spinnaker rig and is easily trailered and launched. A great boat for beginners or to day sail.